The Rolling Stones will launch their new From The Vault series this fall with the release of two vintage concert films. 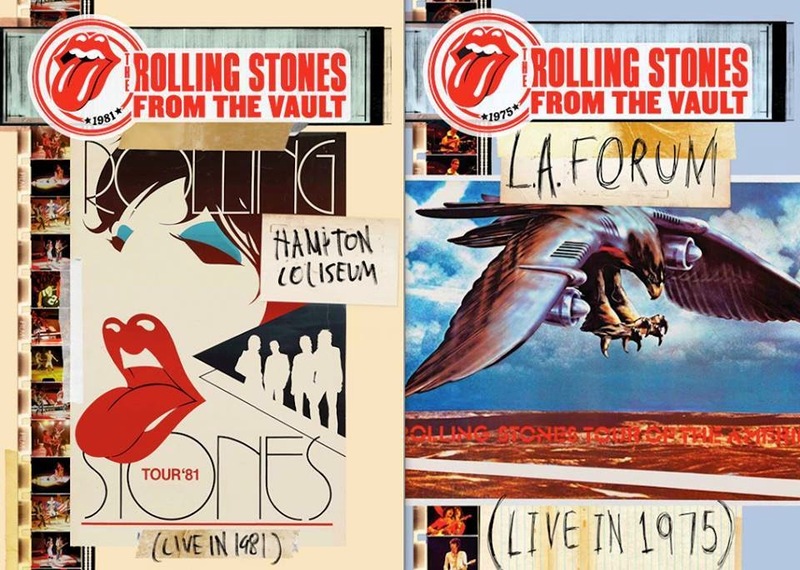 On November 3, the band will issue “From The Vault – Hampton Coliseum – Live In 1981”, which features the Stones in concert on their “Tattoo You” tour. The December 18 performance at Virginia's Hampton Coliseum was originally broadcast as "The World's Greatest Rock'n'Roll Party" on pay-per-view and in closed circuit cinemas, becoming the first pay-per-view music event. On November 17, the band will follow-up the 1981 concert with “From The Vault - LA Forum – Live In 1975”, as the second release in the From The Vault series. The Rolling Stones’ “Tour Of The Americas ‘75” was the band’s first tour with new guitarist Ronnie Wood. During the 2-month summer run, the group settled into the L.A. Forum for a five night stint from July 9th to 13th and this concert film features the show from July 12th. The footage has now been carefully restored and the sound has been newly mixed by Bob Clearmountain for this first official release of the show. Both releases will be available as SD Blu-ray, DVD, DVD+2CD and DVD+3LP. Meanwhile, the Rolling Stones will continue their 14 On Fire tour this fall when they play rescheduled dates in Australia and New Zealand, with shows starting October 25 at the Adelaide Oval in Adelaide, Australia.